Okay here is the most mouth-watering, king of all fries that was tried and tested. The fries just melted in a close your eyes and sigh kind of way. Yes it was that yummy. And that roasted garlic dip took it to unimaginable heights. Simple and easy to prep, it’s for those long for something different yet comforting side order made in the comfort of your own home. Mix bread crumbs, Parmesan, Salt and Pepper. Wet a finger in water and dip it into the bread mixture and taste check for seasoning. 2 plates set aside, one with flour and the other for the above bread crumbs. Plus a shallow bowl with the whisked egg which will be used for binding. Cut avocados into long chunks. It’s better if isn’t ripe. 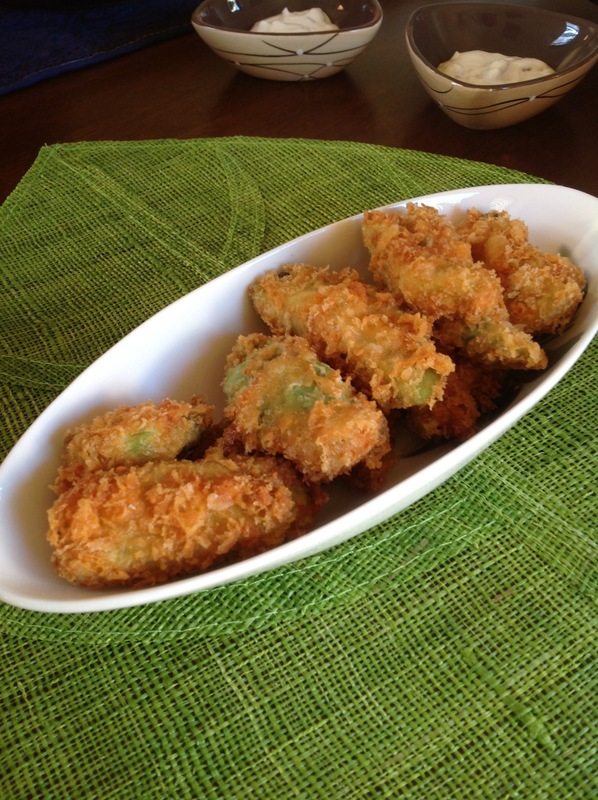 Take avocado, coat it with flour, dip it in egg and into the bread crumb mixture. Get your oil going in the stove. And fry ’em up. Drain on paper towels. Roast garlic in butter until light golden brown and crispy. Then simply mix up all ingredients adjusting heat and acid to your taste. And voila your dip is ready. 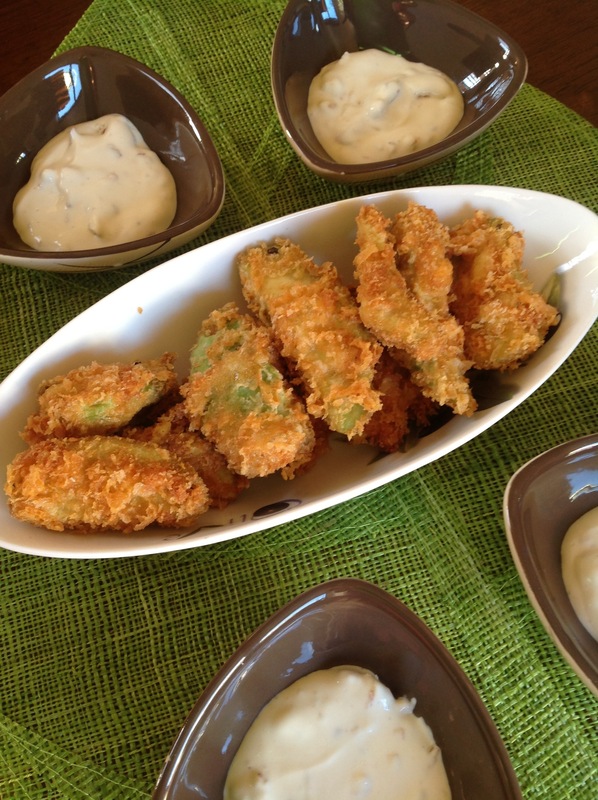 So what are you waiting for just dip that fried green heaven and dip away and enjoy!